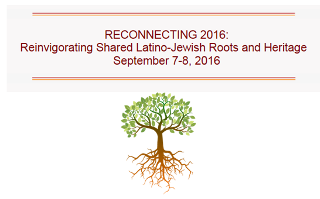 Reinvigorating Shared Latino-Jewish Roots and Heritage, will be held in Miami, FL on Sept. 7-8. This conference is a milestone in Latino-Jewish relations and features an incredible line-up of the foremost scholars of Sefardi and Anousim heritage, as well as movers and shakers in the Latino world. Don’t miss this opportunity to be a part of history! CLICK HERE for registration and program information.